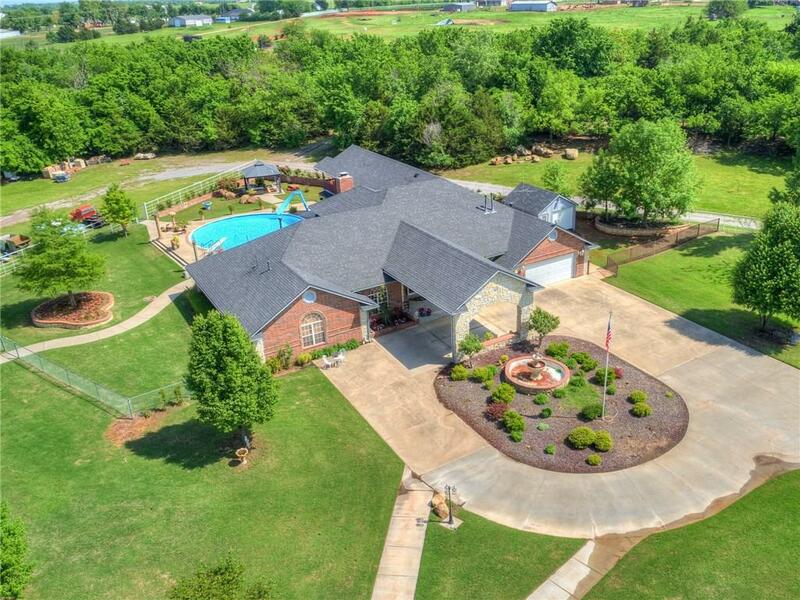 EXPERIENCE Premier, Luxury LIVING on this 7.07 Acre Private Retreat. 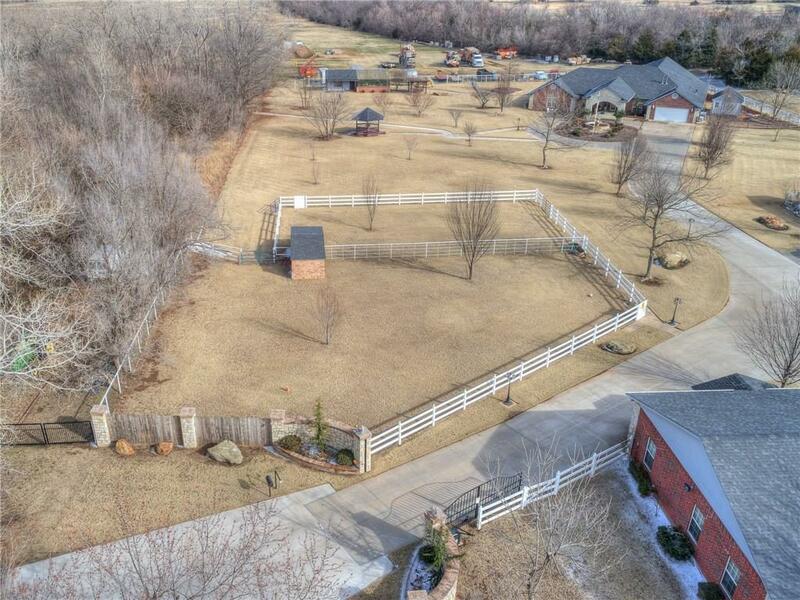 Picturesque property with private, treed entrance. 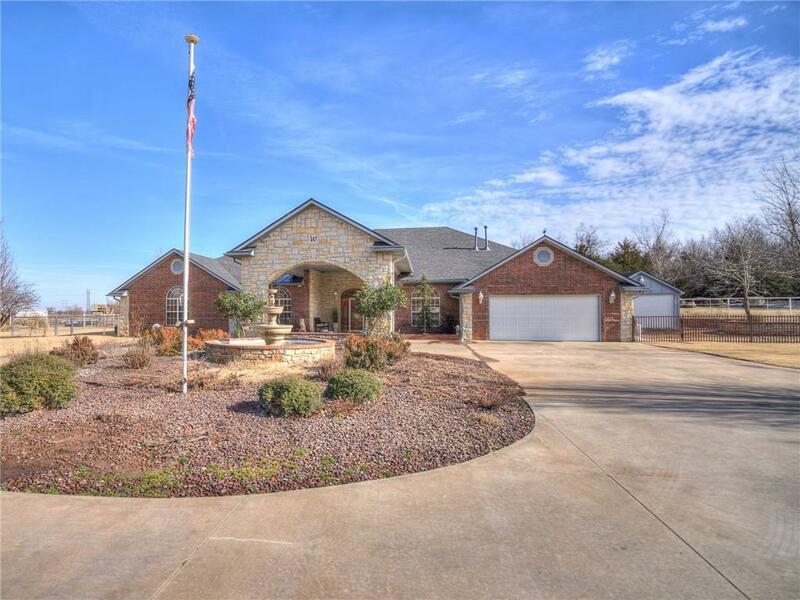 Exceptionally crafted residence boasts a breathtaking 4336 sq ft. DESIGNER interiors with soaring 16 FT Ceilings & Stone Fireplace in the Living. Gorgeous Woodwork, Chefs Kitchen complete w/ Jenn Air Appliances, Double ovens, Gas Cook top, EXPANSIVE center Island, & Ample Cabinet Space. Outdoor Living area is THE PLACE TO BE! Entertainers dream. VERSATILE SPACE INCLUDES: 40x150 Shop Building, 1200 Sq Ft Office Space featuring a full Bath & Kitchen(could easily be converted to a single family residence). All 4 shop units are fully equipped w/ heat & air, electric, concrete floors, motorized over head doors & bunk room. 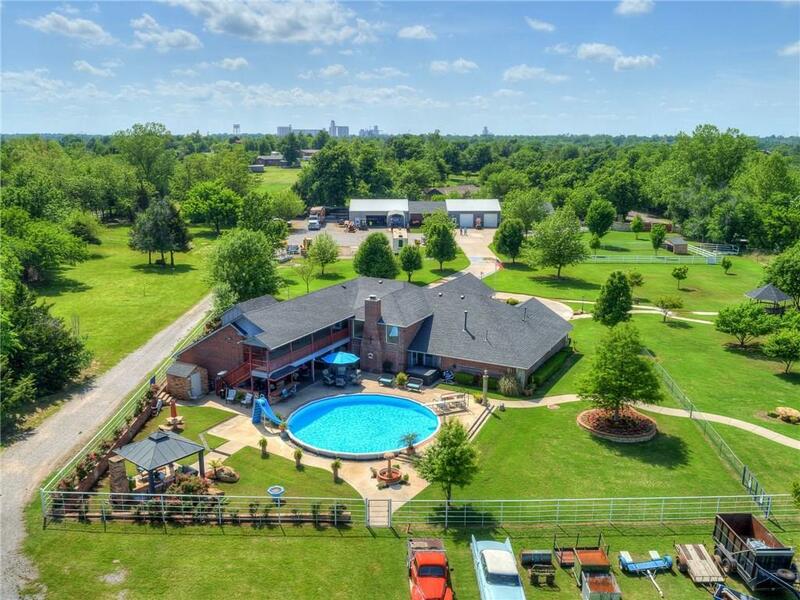 Other Property amenities include:fully equipped greenhouse, chicken house, 3 storage buildings, pool, pergola, fire pit, outdoor kitchen & more. Making the possibilities for future use & development endless. A TRUE TREASURE! RETREAT to SENSE OF PEACE! Offered by Brandon Hart of Keller Williams Realty Elite. Listing provided courtesy of Brandon Hart of Keller Williams Realty Elite.